If you, like millions of others, have found yourself in the unfortunate situation of having to decide whether to short sell your home or be foreclosed on please contact Heather and Todd right away. We may be able to help. No action takes the choice away from you. All inquiries are strictly confidential. We respect your privacy. 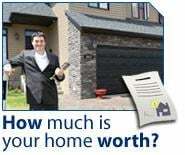 Please don't wait too long before scheduling your free, no obligation consultation to see if a short sale on your home is right for you or what your other options may be!